Oh Asturias– where to even start? The meats? The cheeses? The seafood? The cider? This incredible part of northern Spain is as amazing as everyone told me it would be. 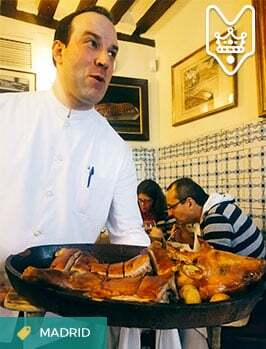 From the bright green mountains with free range cattle grazing, to the tiny mountain towns with some of the best home cooked stews you’ll ever try, and the brightly colored seaside fishing villages where you’d be a fool not to order one of everything on the menu… Asturias really does have it all. And did I try it all? Not even close. I had a long list of traditional foods from Asturias that I wanted to taste while there, but left after six days with only about half of them checked off. Looks like another trip will be in order! 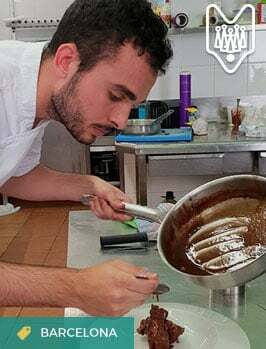 For now, I’ll leave you with my best bites– the dishes that I’m still dreaming about from afar. 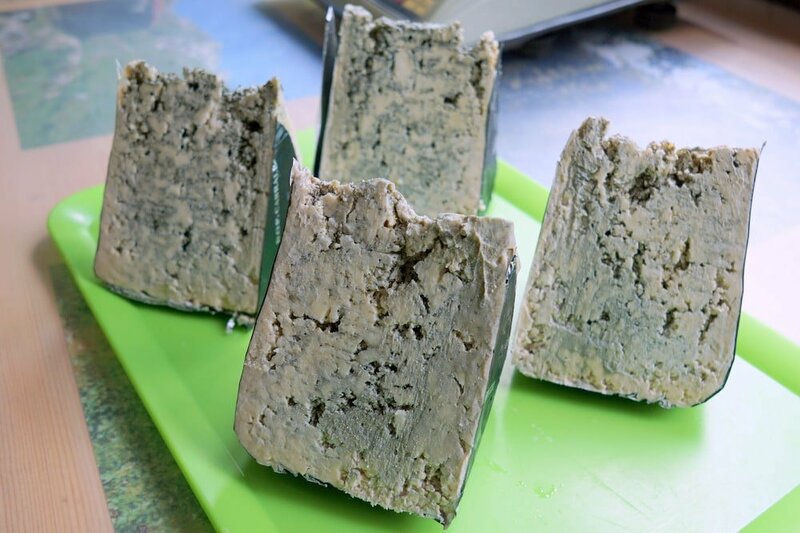 I first fell in love with Cabrales cheese when I moved to Madrid, where there are lots of Asturian immigrants. 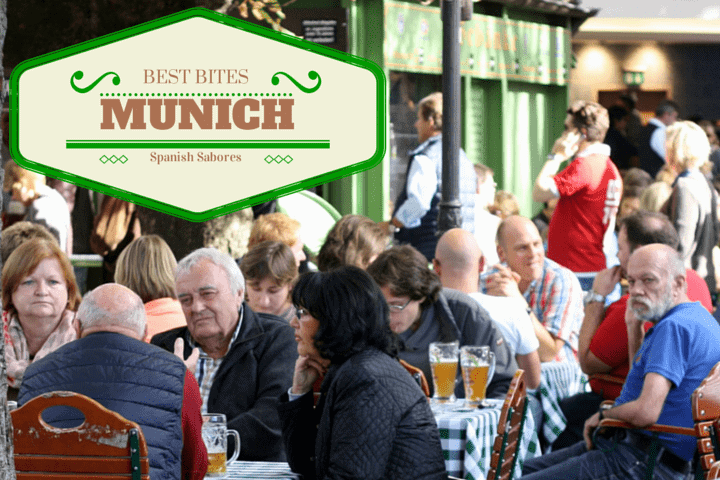 Madrid is filled with Asturian restaurants and bars– many quite authentic. Never a huge fan of blue cheeses previously (little did I know they are pretty much the best cheeses ever! ), I was hesitant to taste what many described as a mouth-numbing blue cheese. But it only took one bite to fall head over heels with the intense and creamy Cabrales cheese. 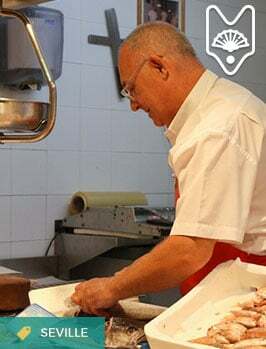 Hooked ever since, I knew I wanted to visit a cheesemaker when visiting the Cabrales region, and where better than the award winning family-run Quesería Francisco Bada? We tasted a cheese that had been cured deep in Francisco’s nearby cave for nine months– when the average is only two! It was soft and creamy, and oh so amazing. An absolute must try (if you can find it!). I grew up loving Massachusetts apple cider from the local apple orchards (which is a very sweet unfiltered apple juice with spices), but at the same time hating the apple juice from the supermarket. So I wasn’t sure if I’d like the Asturian hard ciders (known for being very dry and quite yeasty). But oh how I love them! I drank plenty of cider during our trip– and how could I not when a bottle in a restaurant costs around €2.40? We saved lots of money on the trip thanks to cider! 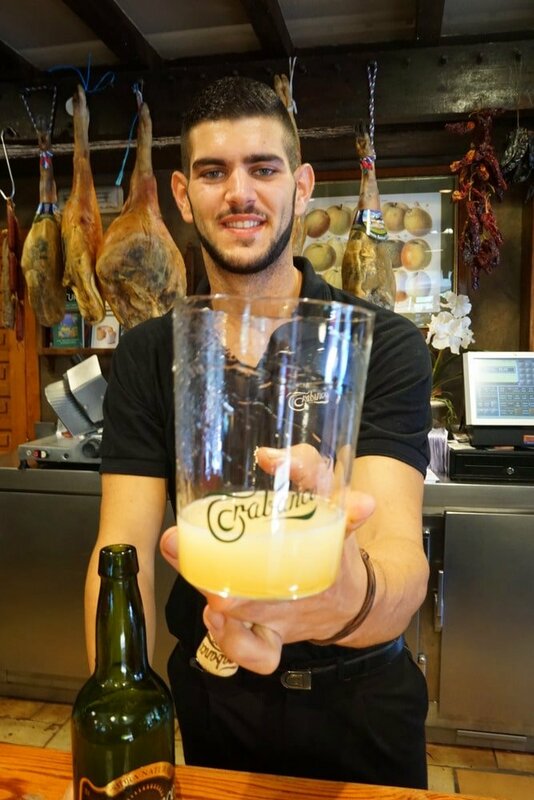 Learn how to pour Asturian cider in Madrid (and try plenty!) 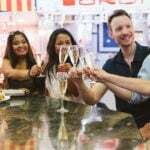 on the Ultimate Spanish Cuisine Tour! The mussels from northern Spain are some of the best I’ve ever tried so when we saw them on menus as picante (spicy) we just had to try them. 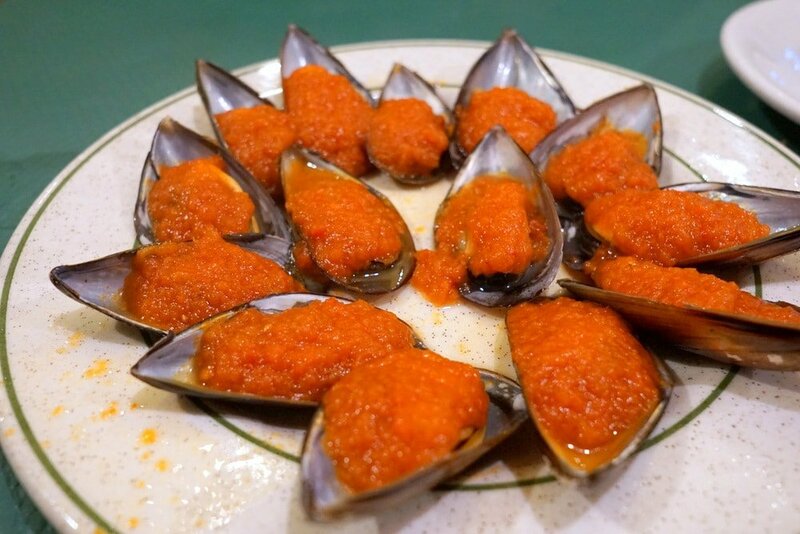 Usually when something in Spain claims to be spicy, it’s not– but these were an exception. The best we had were from a small sidrería in Ribadasella, a gorgeous fishing village with lots of local chigres (Asturian cider houses). 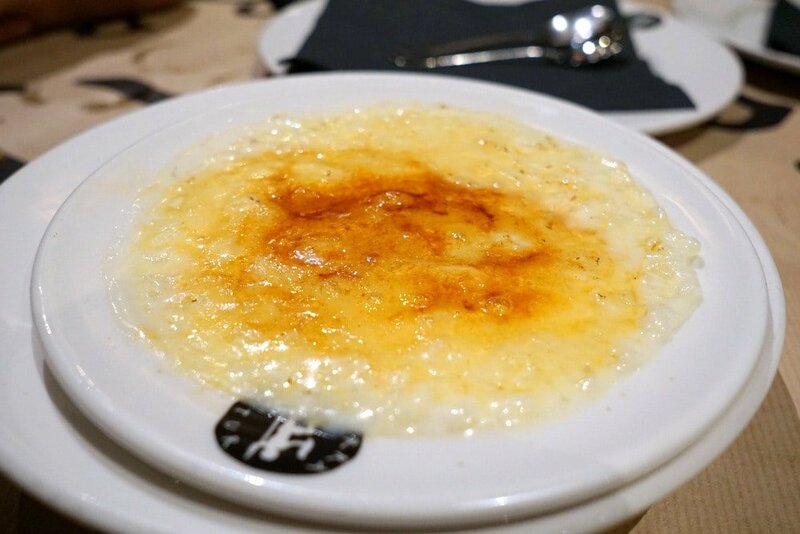 I’ve always loved anything with a caramelized sugar crust, and creamy Asturian arroz con leche (rice pudding) is no exception. Most restaurants caramelize theirs with a hot iron, which adds a layer of smokiness that you don’t get using a blowtorch. Another of my cider house favorites! 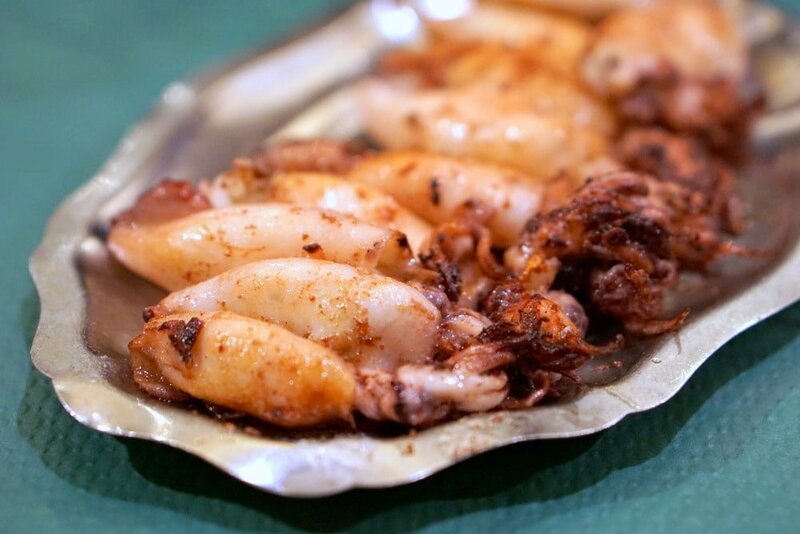 Asturias’ seaside villages all seemed to offer raciones of small squid called chipirones. The best we tried were again from our favorite Ribadasella cider house, El Carroceu! We arrived in Luarca absolutely ravenous, and one of the first places we passed was one of the town’s many pastry shops. 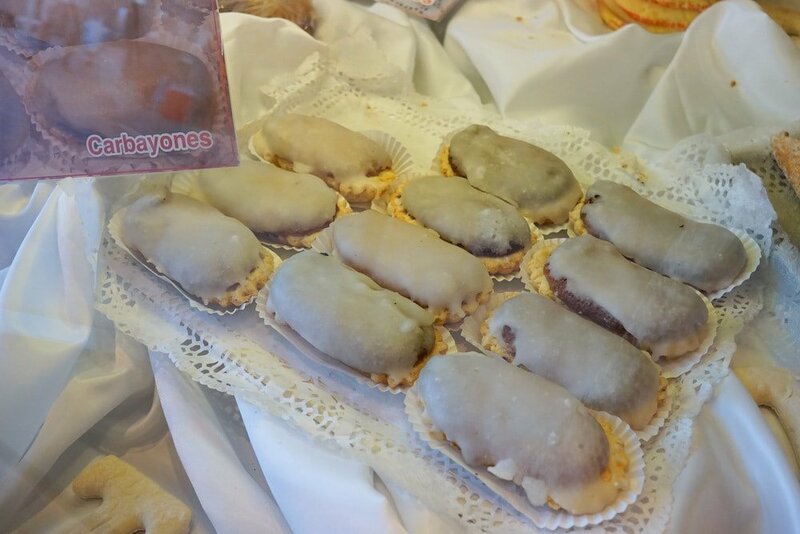 Not usually one to swoon over Spanish pastries, these caught my eye and I took a quick picture to remember the name. I never expected they’d make it to my list of best bites! Consisting of a thin layer of puff pastry, a sweet almond and egg yolk filling, and a sugary glaze– these carbayones are a sweet lover’s dream! For days on end all I wanted was to eat a good mariscada (a heaping platter of local shellfish). But the restaurants I had on my list were all booked (a danger of visiting during peak tourism season). Finally, I managed to get a lunchtime reservation at Luanco’s highly rated Restaurante Guernica– this was our day to splurge. The owner himself greeted us and brought us over to a table overlooking the sea and the mountains. This is what I’d been waiting for. We ordered a platter of shellfish (pictured) followed by another platter of fish– did I mention the portions in Asturias are ridiculous?! Too much food for sure, but some of the most delicious seafood I’ve ever had. 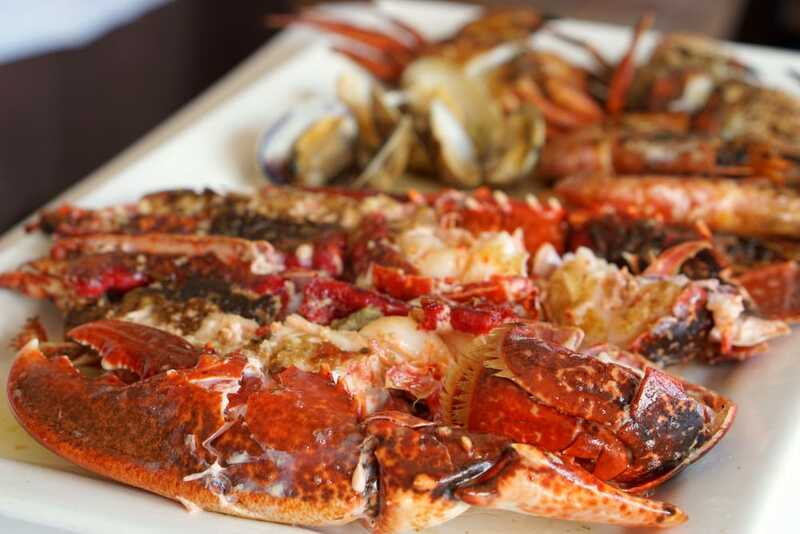 The local lobster was one of the best I’ve ever tried, with a flavor so different from the Maine lobsters I’m used to. This is a dish worth traveling for! 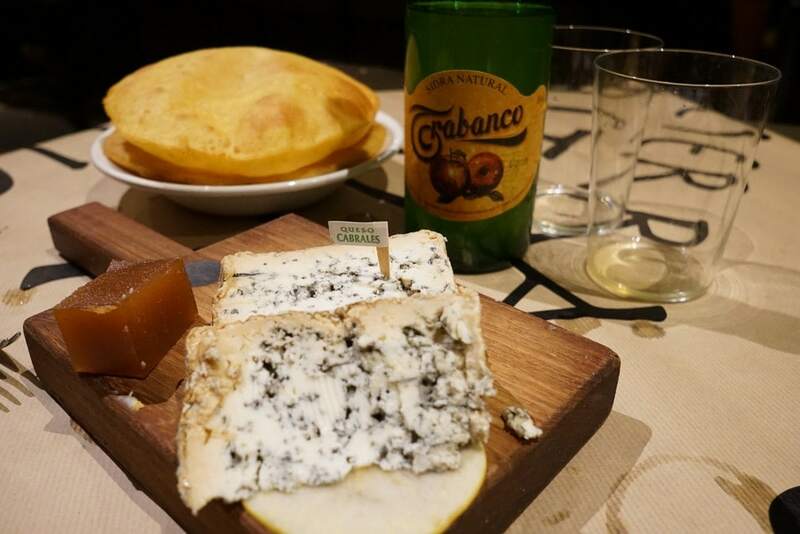 After touring the Cabrales cheese caves, we took cheesemaker Francisco’s advice on lunch. He’d told us to stop at Café Cares “a place with a real chef” he told us. 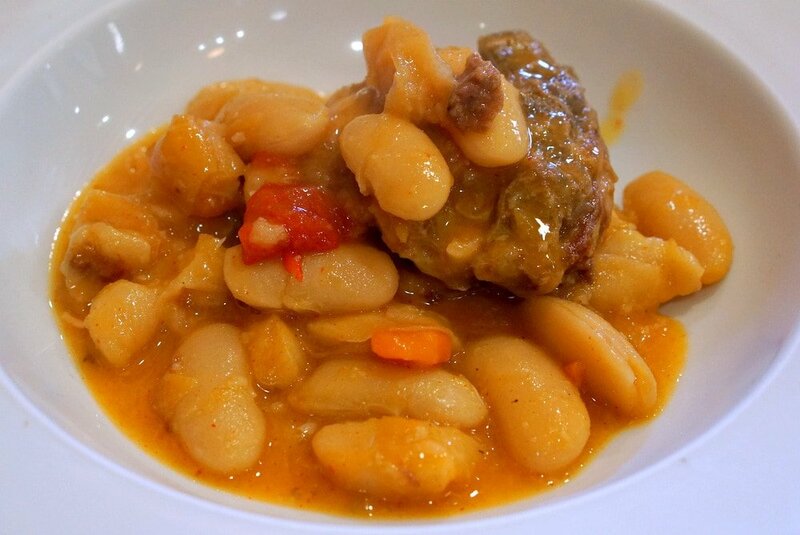 For €15 we enjoyed a menú, and the first course consisting of local beans with stewed goat was the hearty mountain food I’d been craving. Six days of eating around the clock and yet so much more to try! 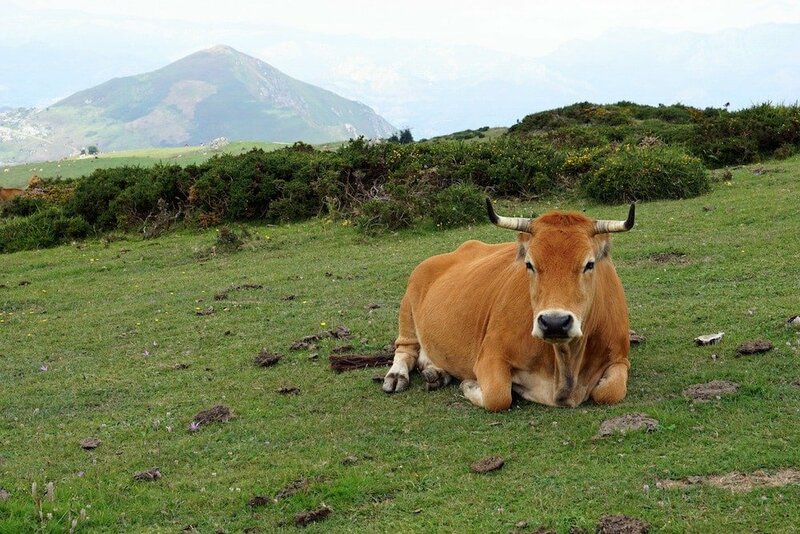 Have you visited Asturias? What was your best bite? I had the HUGE privilege of visiting one of those caves where the cheeses are matured. I couldn’t believe it. It was an honor! We can never get Cabrales here in the Canary Islands. …. but that just makes another reason to go back to Asturias! Yes, we will also be posting about the incredible experience! The caves are amazing– so much bigger than I thought! 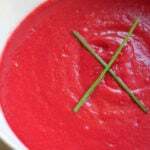 I can’t believe you can’t find Cabrales in the Canaries– I figured someone would import it! Then again, any excuse to return to Asturias is a good one!